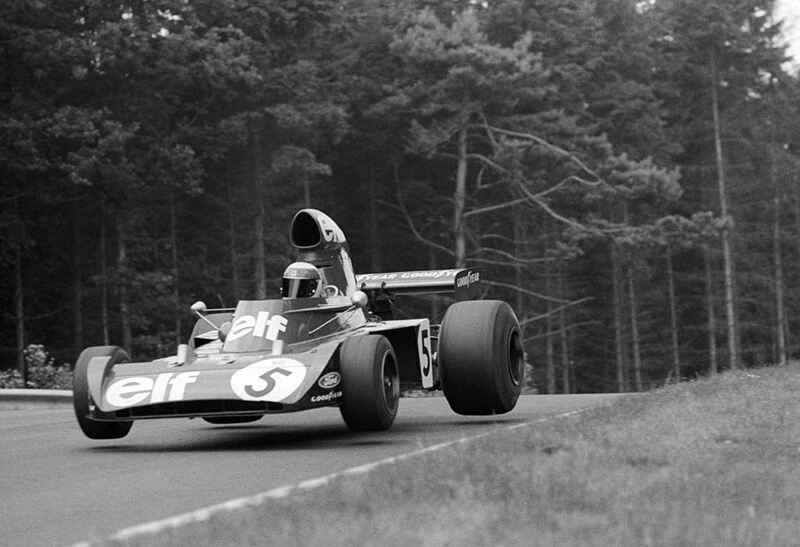 Jackie Stewart's win in the German Grand Prix was a record-breaking 27th and moved him further ahead of Emerson Fittipaldi in the World Championship and closer to a third world title. Stewart started on pole and he led team-mate Francois Cevert with Ronnie Peterson's Lotus in third. Peterson suffered an engine failure and was out of the race on the opening lap which allowed Jacky Ickx's Ferrari up to third place ahead of Niki Lauda's BRM, Carlos Reutemann's Brabham and the McLaren of Peter Revson. Revson was chased by Carlos Pace's Surtees and the second McLaren of Denny Hulme but the battle was interrupted when Revson clipped a barrier and dropped to the back of the field. Lauda then crashed his BRM and broke his wrist in the process. Reutemann inherited fourth place but lasted until just lap eight of the 14 on the monstrous circuit when his engine blew and that promoted Pace to fourth ahead of the Fittipladis: Wilson was fifth with his younger brother Emerson sixth from 14th on the grid. But Emerson had struggled with sore ankles sustained in an accident in practice for the Dutch Grand Prix and was happy just to score a point. Cevert's second place in the race promoted him to second in the championship ahead of Fittipaldi.